Although different in many ways, the history of racism in Nazi Germany and the Jim Crow South during the 1930s illuminates some universal phenomena that manifested during these distinct historical periods. This symposium brought together scholars, students, and community members to engage in meaningful dialogue on how, when, and why ordinary people supported, acquiesced to, ignored, or resisted in two very different systems of targeted oppression and racial violence. This program was co-organized by the Jack, Joseph and Morton Mandel Center for Advanced Holocaust Studies at the US Holocaust Memorial Museum and the Institute for Human Rights at the University of Alabama at Birmingham. Learn More. This symposium was made possible by a generous grant from the Robert and Myra Kraft Family Foundation to the US Holocaust Memorial Museum. By exploring emerging research on the representation of historical persecution, this symposium examined the lasting impact of persecution on memory and identity for communities in different historical contexts. In bringing together educators and scholars from diverse disciplines, the program initiated meaningful dialogue about trauma, identity, violence, and discrimination against communities in Europe and the Pacific Northwest. This program was part of a wider outreach initiative to bring Holocaust studies into conversation with ethnic studies in the North American academy. This program was co-organized by the Dean's Office of the College of Arts, Humanities, and Social Sciences, as well as the Department of Critical Race, Gender, and Sexuality Studies and the Department of Native American Studies at Humboldt State University. Learn More. Co-organized by the United States Holocaust Memorial Museum’s Jack, Joseph and Morton Mandel Center for Advanced Holocaust Studies and the University of Toronto’s Chancellor Rose and Ray Wolfe Chair of Holocaust Studies, this interdisciplinary symposium will explore the intersections of religion, ethno-nationalism, fascism, antisemitism, and violence during this period. By analyzing the ways in which religious groups, institutions, and networks engaged political and social upheaval in and beyond Europe, we hoped to identify broader patterns that could deepen our understanding of the dynamics shaping the roles of religious actors before and during the Holocaust. Learn more. This symposium was made possible by the generous support of the Anne Tanenbaum Centre for Jewish Studies, the Department of History, the Hoffberger Family Foundation, and the Joint Initiative in German and European Studies at the University of Toronto. 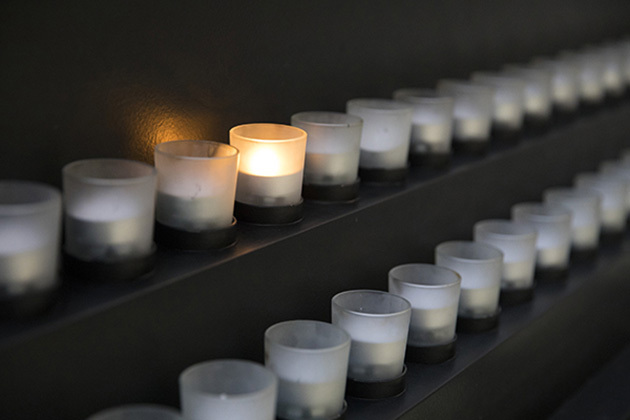 A joint undertaking of the Mandel Center and Yad Vashem's International Institute for Holocaust Research, this program highlighted emerging trends in Holocaust research and education in the Israeli academy. Learn more. Funding for the Symposium was provided by Phyllis Greenberg Heideman and Richard D. Heideman. The Symposium took place through the generous support of the Gutwirth Family Fund at Yad Vashem. Co-organized with San Diego Mesa College's School of Social/Behavioral Sciences and Multicultural Studies, this interdisciplinary symposium explored current and emerging research on borderlands, refugees, and displacement in Holocaust studies, Latina/o and Chicana/o studies, Asian American studies, American Indian studies, and African American, Africana, and Black studies. Co-organized with the University of Montana’s African-American Studies Program, this interdisciplinary symposium explored current and emerging research on historical trauma in Holocaust studies, Native-American studies, African-American studies, and Women’s, Gender, and Sexuality studies. This conference was made possible by a generous grant from the Joyce and Irving Goldman Family Foundation to the United States Holocaust Memorial Museum. The University of Montana’s African-American Studies Program, College of Humanities and Sciences, Davidson Honors College, Department of Anthropology, Department of Communication Studies, Department of History, Mansfield Library, Native American Studies Department, President Royce Engstrom, University Center, and Women’s, Gender, and Sexuality Studies Program co-sponsored this event. Muslim and Jewish populations each have a painful history as targets of hatred, discrimination, and violence. Co-organized with the Martin-Springer Institute at Northern Arizona University, this conference explored the ways in which a larger conversation about these two histories might illuminate not only the Jewish-Muslim relationship today but also the larger dynamics of hate and violence directed against “others” in our society. This program was sponsored by The Martin-Springer Institute of Northern Arizona University; and the Jack, Joseph and Morton Mandel Center for Advanced Holocaust Studies of the United States Holocaust Memorial Museum, with the generous support of the Snider Foundation. Co-organized with the University of Mississippi, this interdisciplinary symposium explored emerging research in Holocaust studies on the semiotics of race in public spaces and efforts to memorialize histories of racialized atrocities, as well as current research on these topics in the American South. This program was made possible by the Legacy Heritage Jewish Studies Project, directed by the Association for Jewish Studies (AJS). Support for the Legacy Heritage Jewish Studies Project is generously provided by the Legacy Heritage Fund Limited. This program was also supported by a generous grant by the Joyce and Irving Goldman Family Foundation to the United States Holocaust Memorial Museum. This combination workshop and symposium was designed to foster scholarly cooperation among junior scholars working on Roma and the Holocaust across Europe, as well as histories of prewar persecution and the effects of the Holocaust on Romani communities in its aftermath. The program consisted of three days of consultation and discussion of participants’ research in a workshop setting, followed by a day-long public symposium. This symposium was made possible by a generous grant from the Joyce and Irving Goldman Family Foundation. Co-organized by the Mandel Center and the University of New Mexico, this interdisciplinary symposium explored emerging Holocaust research on historical trauma and its aftermaths, as well as current research on these topics in the American Southwest and its borderlands. This symposium explored the evolution of the study of children and the Holocaust ten years after the Mandel Center first convened a conference on the topic. Drawing from new Museum resources, presenters explored such familiar subjects as hiding and rescue, as well as new areas like postwar identity, history and memory, and the challenges and opportunities of child survivor testimony itself. The focus of this symposium was the appeal of National Socialism and fascism to publicly respected cultural figures and intellectuals in Germany, as well as in Allied, Axis, occupied, and neutral countries in Europe. Panelists explored the various reasons why intellectual identification with Nazism and fascism took hold and the manner in which leading figures confronted—or did not confront—their past after 1945. Marking the 50th anniversary of the Montgomery Bus Boycott and the 40th anniversary of the Voting Rights Act, this symposium highlighted the legacy of the Holocaust in the efforts of postwar activists to combat religious, racial, ethnic, and gender prejudice. Stunned by the atrocities in Europe, many Americans turned to the fight against prejudice and discrimination at home. Panelists provided comparative analyses of early responses to the Holocaust, the impact of the Holocaust on efforts to challenge religious intolerance, and civil activism as a legacy of the Holocaust. This symposium focused on Holocaust-related trials from 1945 until today. Panelists provided comparative analyses of trials involving perpetrators, collaborators, and Holocaust deniers, as well as examined the law in different countries and how it affected trial outcomes. The symposium concluded with a roundtable discussion of challenges and lessons for today, when Holocaust-related criminal trials are still ongoing and the world is faced with continuing crimes against humanity in the former Yugoslavia, Rwanda, Sudan, and elsewhere. On October 22, 2003, President of Romania Ion Iliescu announced the formation of the International Commission on the Holocaust in Romania, chaired by Nobel laureate Elie Wiesel. The commission—composed of recognized historians and public figures from France, Germany, Israel, Romania, and the United States—began the process of examining in detail the discrimination, isolation, internment, deportation, and physical destruction of Romanian Jews and other Jews under Romanian control between 1937 and 1945; the Romanian persecution of Roma between 1942 and 1944; and the post-World War II trials of the perpetrators accused of crimes related to these events. In this symposium, commission members offered the first public presentation of their findings at the time. Masses of rich archival material that have become available since the dissolution of the Soviet Union have provided new insight into previously under-researched aspects of the Holocaust on Soviet territory. In this symposium, scholars discussed the initial effects of the Nazi occupation on Jewish communities; the centralized and local initiatives that culminated in the mass murder of Soviet Jewry; the murder, mass starvation, and forced labor of Soviet prisoners of war; the participation of Jews in the Soviet war effort; and the impact of the Holocaust on the postwar Soviet Union. During the Holocaust, more than one million children were killed. 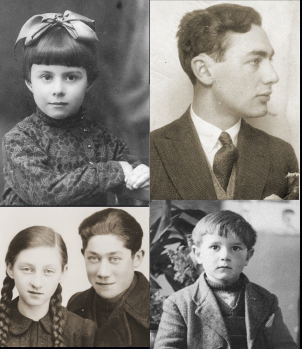 Those who escaped that fate went into hiding, were forced to emigrate—often without their families—or survived by concealing their Jewish identity. After the war, those who survived struggled to reunite with family members and many had to face the fact that they were orphans. This symposium explored the variety of fates children experienced, from the perspectives of both scholars and the child survivors themselves. It was one of several programs focusing on children taking place between April 2003 and April 2004 in commemoration of the 10th Anniversary of the United States Holocaust Memorial Museum. Civilians, concentration camp prisoners, deportees, foreign nationals, Jews, and prisoners of war were all forced into the sprawling forced and slave labor system that encompassed most of Europe and supported the war efforts of the Nazi regime and Axis countries. Such labor was integral to concentration camps and their subcamps, farms, ghettos, labor battalions, religious institutions, prisoner-of-war camps, and private industries in Germany, other Axis countries, and the German-occupied territories east and west. The objective of this symposium was to examine key elements of the forced and slave labor system as a European phenomenon during World War II. Despite the passage of nearly 60 years since the end of World War II, the experience of Jews subjected to forced confinement in ghettos by the Nazis and their collaborators continues to attract attention by scholars. This program offered the opportunity to hear from ten scholars whose research into newly released archival materials provided fresh insight and deeper understanding of various aspects of life in the ghettos of Europe from 1939 to 1945. Presentations in the morning aim at defining ghettos, describing their administration, and examining the issue of resistance. The afternoon session features detailed examinations of the impact of ghettoization on Jewish culture, including presentations on the Jewish religious response, daily life, and contemporaneous reflections on the experience. For several decades, literary scholars in North America, Europe, and Israel discussed the value and importance of employing fiction and poetry in reflections upon the Holocaust. Many of the issues central to this ongoing dialogue remain hotly debated, including the ways in which the history and memory of the Holocaust are transmitted in literature; the public reception of those transmissions; the relationship between oral testimony and literature; and the potentially therapeutic value of using literature to confront the emotional trauma left behind after the genocide. This program was a unique opportunity to hear from 12 leading academics and literary critics whose work examines and analyzes literary treatments of the Holocaust. Though economic discrimination and the seizure of Jewish property were integral parts of the Holocaust, until recently, research on this dimension of Nazi anti-Jewish persecution has lagged behind other areas of Holocaust studies. This program gave a unique opportunity to hear from eleven scholars whose research in newly released archival materials has advanced the study of the confiscation of Jewish property by the Third Reich and its European allies. The speakers examined the institutions charged with implementing confiscation policies, the manner in which Jewish assets were seized, and the perspectives of those whose property was confiscated. This program featured eight international scholars and historians whose research, analysis, and insights have expanded our understanding of the Nazi persecution of homosexuals. Speakers from the United States and Europe addressed how and why homosexual men, women, and youths were persecuted; the medical experiments conducted on them; why many victims remained silent for decades after the war; and the new research opportunities on this subject. The Holocaust in Hungary, as elsewhere, leaves many questions unanswered—history provides as many puzzles as clues. Scholars refer to a “Golden Age” for Hungarian Jews from the end of the nineteenth century to World War I, when the country was hospitable to Jewish emigration and assimilation. Until the German occupation in March 1944, Hungary was a place where Jews could still find refuge from the Holocaust. The Mandel Center sponsored this symposium to examine the impact of the Holocaust on Hungary and the efforts of Hungary to confront its past and come to terms with the implications.